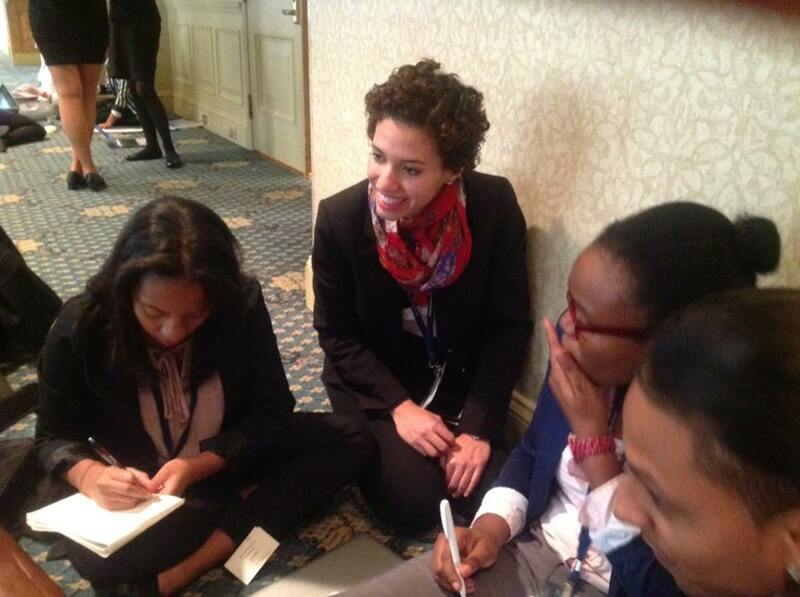 Pace University New York City student Diana Mendez ’15 (second from left), representing Kenya in a simulation of the International Conference on Population and Development at the 2013 National Model UN conference in Washington DC. After taking the Model United Nations class this semester, I am unable to compare this course to any other course offered at Pace University. You learn about political restraints, international and national relationships, and how to use political structures to benefit the world. Once we got to the 2013 National Model United Nations conference in Washington DC, all these lessons were demonstrated again, where you need to work with other countries to create global change; supervised by the chairperson of the committee. I needed to experience the Model UN conference in order to understand Political Science. After the conference, I now know how impactful Political Science is to the world. Model UN demonstrates how global issues are addressed and how to find solutions. The resolutions that are created during our conference are not “real” resolutions; however everything following that is real. All the information and representation of the country is real, and I had to use whatever knowledge and skills I have to form political plans to make the country a better one. Although it sounds overwhelming, it was an amazing experience because I met and worked with intelligent passionate individuals from around the world who shared the same enthusiasm for justice. I chose the photo above because it captures how excited I am to be with my fellow delegates. – Diana Mendez ’15, who, along with her delegation partner Leslie Burak-Dryjanski ’14, represented Kenya in a simulation of the International Conference on Population and Development (ICPD). The Pace students representing Kenya received an “Honorable Mention” award from conference for their excellent work. This entry was posted in Student Delegate Blogs and tagged Diana Mendez, Dyson College of Arts and Sciences, International Conference on Population and Development, Kenya, Leslie Burak-Dryjanski, National Model UN, National Model United Nations, NMUN, Pace University, Political Science, Washington DC. Bookmark the permalink.